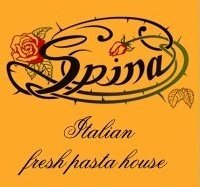 Spina a cozy East Village trattoria is more of an unwinding dinner restaurant than a hopping happy hour spot, but this spring they’ve added some killer drink specials to sip after-work by the bar or al fresco. Tuesday through Friday from 5:30 to 8 p.m., draft beers are $3, and glasses of sparkling, red, white, and rosé wines are $6. Need a bite with your booze? Plates of meatballs or mussels are only $5 to accompany those drink specials. And for $9, enjoy the New York State Happy Hour - a trio of Blue Point oysters, with a glass of local wine or beer on the outdoor patio.